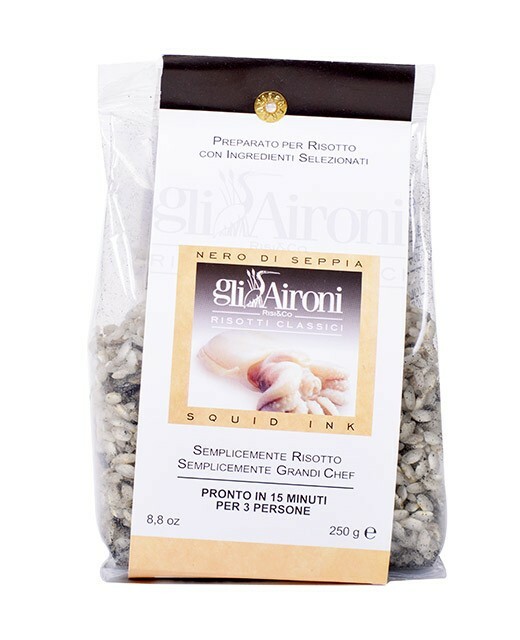 The cuttlefish is a mollusk that projects an ink called sepia to defend itself. 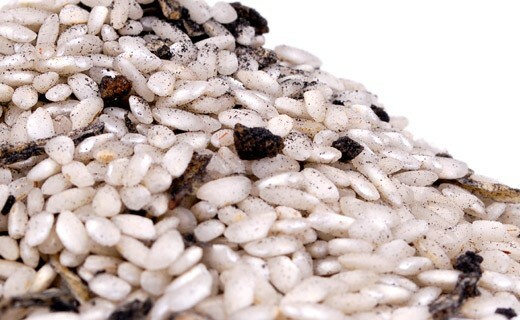 This same ink was used to prepare this risotto with cuttlefish ink and gives it its distinctive black color. 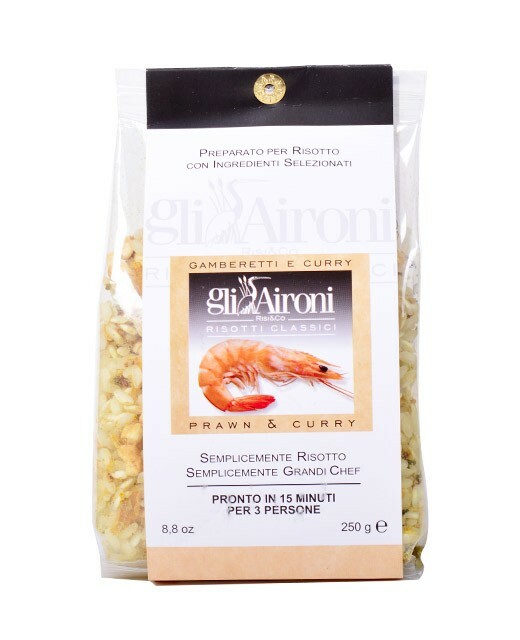 carnaroli rice 90%, dehydrated products: herbal extracts, squid ink: 2.5%, cod, onion, garlic.